with prospects calling from your local area! 24/7 access to calls online on iPhone, Android Phone and iPad. Is the purchase of prospective client information (“leads”) legal for attorneys? Why should I pay for leads? I already have a website. Will other attorneys be competing for the same client? How much control do I have over the types of prospects I can receive? Answer the Phone… it’s a Prospect Calling! Have prospects call you directly. That’s what CallBoost™ is all about. Getting your phone to ring with interested prospects. You could buy leads. But if you have purchased leads before, you know how frustrating it can be when you have to aggressively and repeatedly reach out to the leads only to discover that they are not even looking for services you can provide (or worse…some companies actually sell you information that is bogus and unverified). You didn’t go to law school to be telemarketer. With CallBoost, you can grow your practice by answering the phone. The marketing team at AttorneyBoost.com has a decade of successful internet marketing experience. We are plugged in to the industry to keep up with changing technology and consumer habits. More and more people are using the internet to search for an attorney. And a lot of those people are turning to their mobile devices and tablets. In fact, industry experts believe that mobile search will outpace desktop search within the next couple years. That’s why CallBoost’s focus is on internet and mobile advertising. We’re not generating leads (at least not the kind you might be used to). We encourage prospects to “Call Now” to talk to a local, licensed attorney. We can route that call directly to you, and you won’t pay a penny during the first 60 seconds of the call. Don’t miss out on the best way to grow your practice! If you don’t take the call, a competitor will! Sign up for FREE! 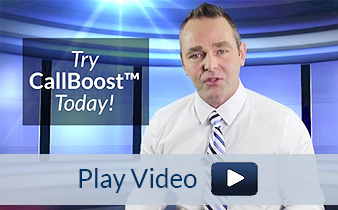 CallBoost is a “pay per call” marketing tool. That means no calls = no cost! No upfront fees. No monthly charges. No long-term contracts. In fact, the first 60 seconds of each call is also FREE, so you don’t have to worry about misdials or wrong practice areas. Our ethics-compliant advertising is targeted specifically to a particular practice area. For example, if a prospect is looking for a personal injury attorney, that is the advertisement they will see, and the call will be routed to a personal injury attorney in our network. We can even set up a unique Caller ID such as (818) 999-9999 to display on your line so you know when it’s a CallBoost prospect. You can access your secure CallBoost account online 24/7 to view call logs, track performance, monitor and train staff and communicate with your dedicated support team. You can also contact our support team during regular business hours for help with any aspect of your account. It’s good to share…but not when it comes to growing your practice. That’s why every call you receive from CallBoost is 100% exclusive to you. We don’t even capture the caller’s name or other contact information. If it’s your call, it’s 100% your prospect. © 2012 Attorney Boost LLC. All Rights Reserved.